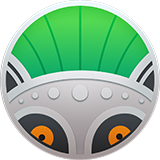 I purchased Photolemur 3 here, for my new MacBook Pro Trackpad and High Sierra. Stand alone installs and works fine, but after installing plugins, they're no where to be found in Photoshop. You can find Photolemur 3 under Skylum Software section. I have the same problem in Windows. The "answer" above is not helpful.